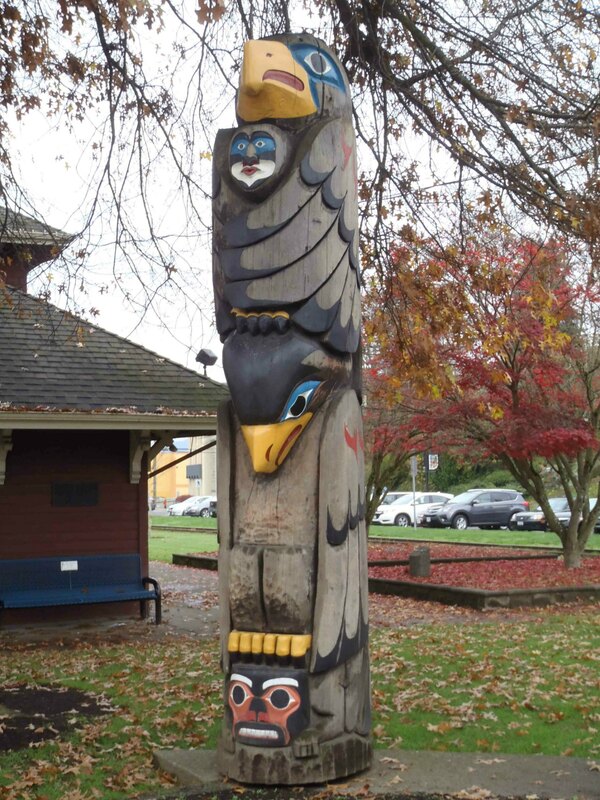 The Transformation In Life totem pole was carved in 1987 by Harvey Alphonse and Nelson Canute of the Cowichan Tribes. It stands 3.9m (12’11”) in height and is placed in Charles Hoey Park on Canada Avenue near the Station Street intersection. 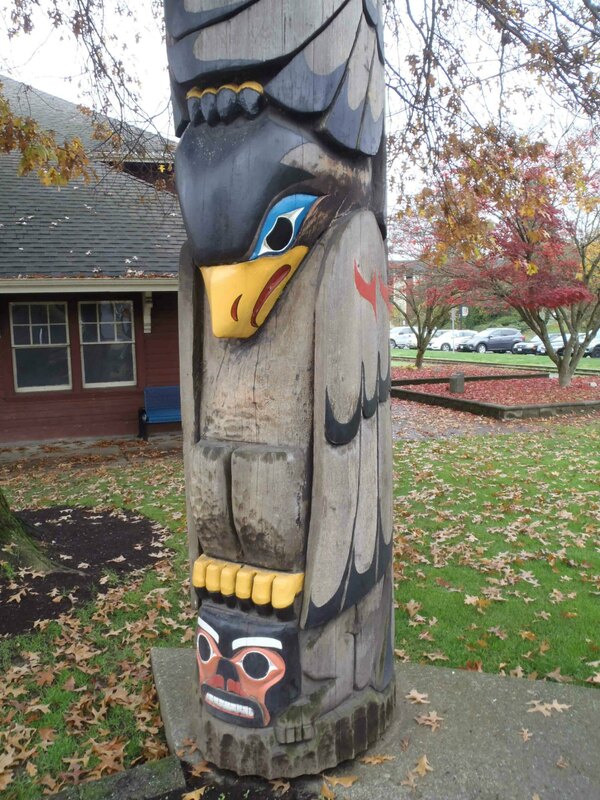 Transformation In Life totem pole, Canada Avenue, Duncan, B.C. 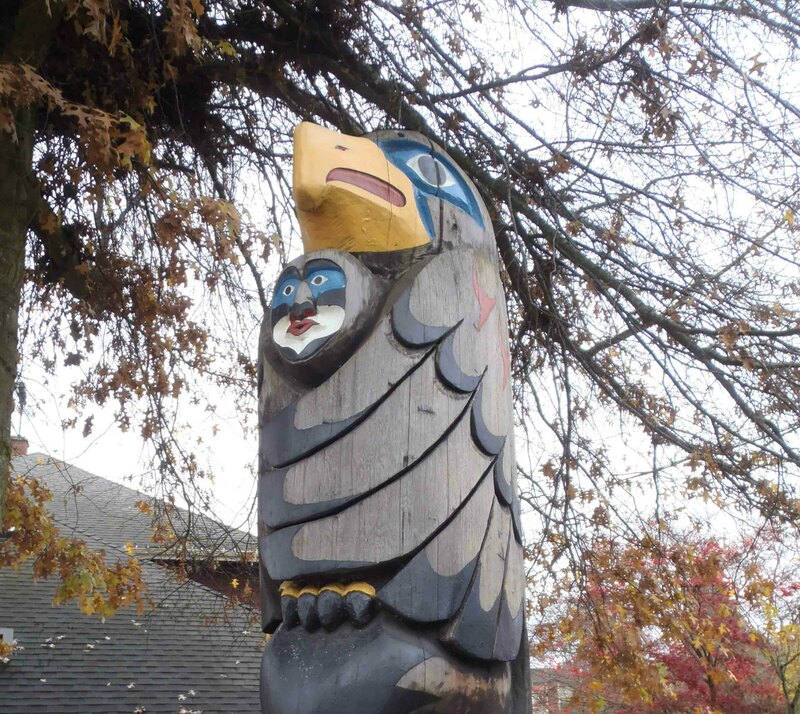 Transformation In Life totem pole, Eagle Guardian figure, Canada Avenue, Duncan, B.C. The Eagle Guardian figure was carved by Nelson Canute. With its wings wrapped around the Man, it represents the Man’s Guardian Spirit. Transformation In Life totem pole, Bald Eagle and Man figures, Canada Avenue, Duncan, B.C. 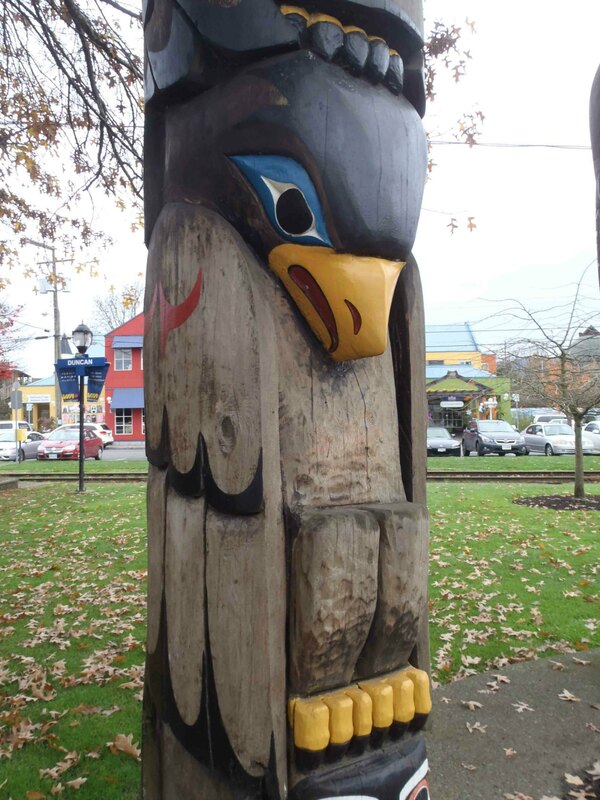 Transformation In Life totem pole, Bald Eagle figure, Canada Avenue, Duncan, B.C. 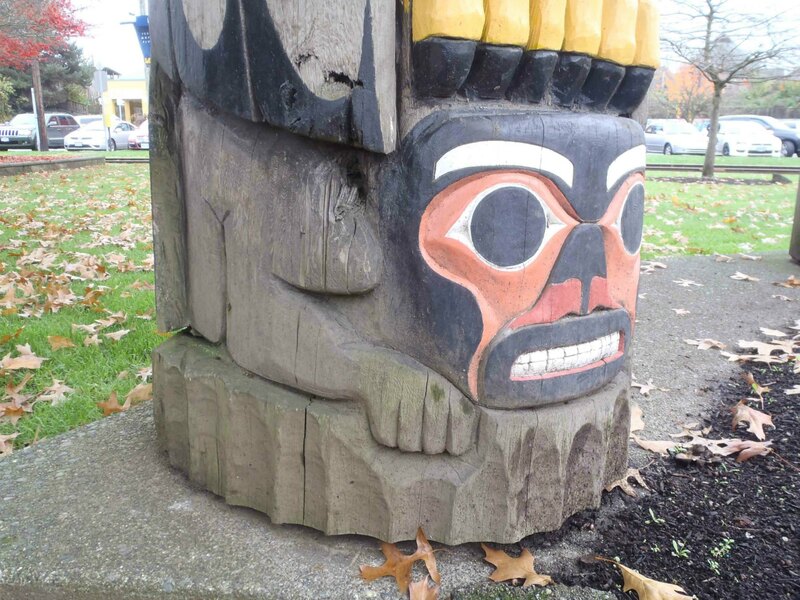 Transformation In Life totem pole, Man figure, Canada Avenue, Duncan, B.C.